Now that we’ve finally started seeing some winter-appropriate temperatures we finally ventured out for the weekend motivated to achieve some important farm progress. It was apparent after last winter that having our water lines partially buried out to the back field was not a great idea; the above ground portions would thaw out in the sun and allow water to flow in the warmest portions of the day, whereas underground saw no benefit whatever from those warm rays. Not wanting a repeat of that this year we dug up the buried hoses and moved them into a different field along with the water troughs. After a long year of wet weather the troughs had begun to sink into the mud, which never seemed to dry or freeze completely. I was sick of the mess, the sheep were sick of the mess, and we were hoping by moving the water we could keep them out of the muddy areas altogether. 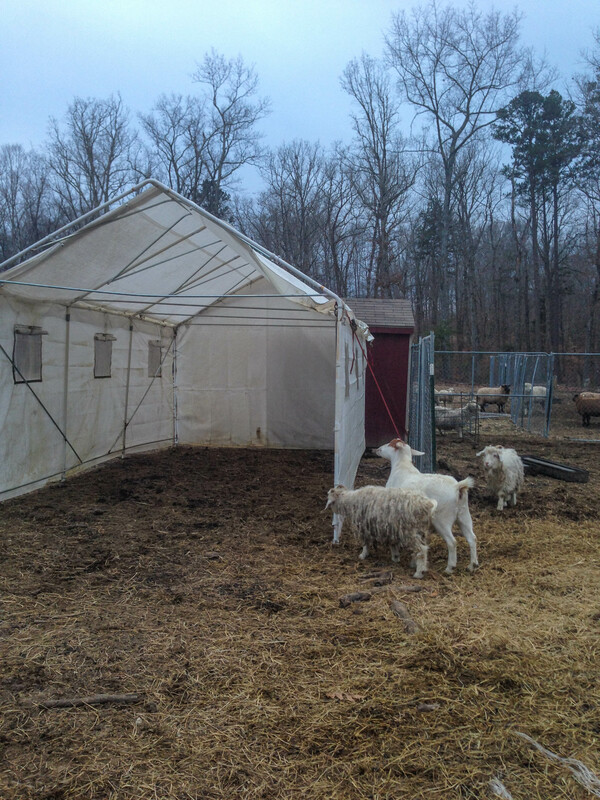 After that we decided it was time to install a better shelter against the possibility of freezing rain AND take back the chicken coop that we’d been using as a makeshift lamb shelter. There’s plenty of room under there for everyone when they want to get out of the weather – it’s about the same size inside as the run in shelter on Susie’s old barn. I even put their feed troughs in there. Not that it made any difference at all in yesterday’s monsoon; they would have zero to do with it. I will probably put their next bale of hay inside both to encourage them to go in and also to help pad the ground a bit with the waste hay. 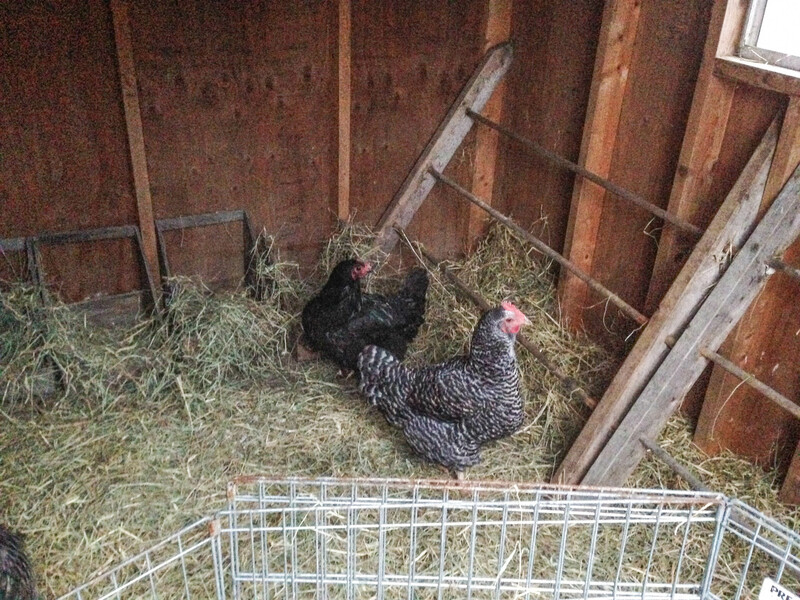 We started putting hens from the coop out front into the back one now that it isn’t overrun with goats (there is fencing in front now to keep said goats out!). Look at all the room for chicken-related activities! 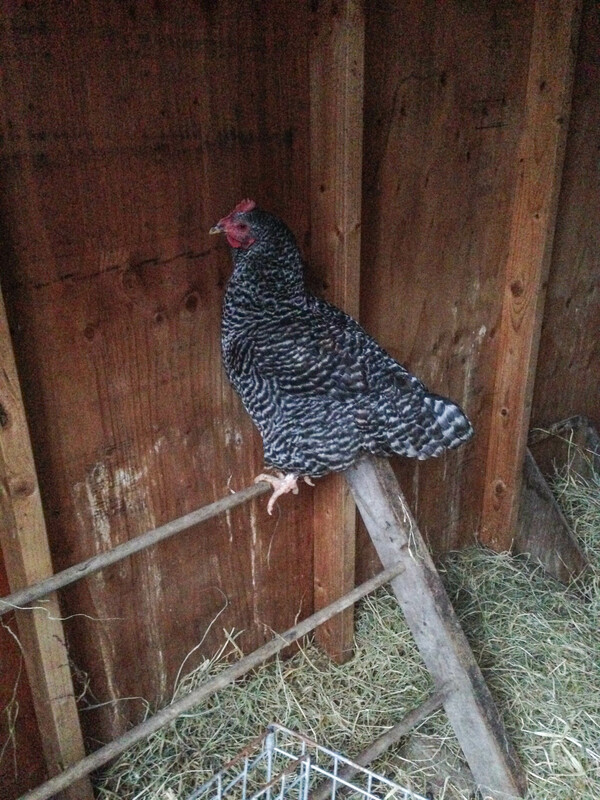 (One of which better be laying eggs, because I’m tired of this egg drought we’ve been having). 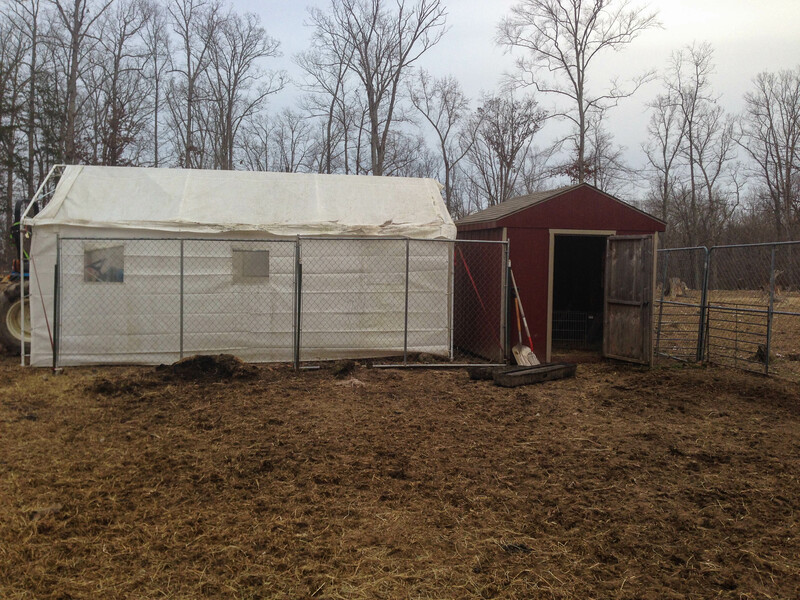 Obviously we will still have to knock off any heavy snow that might come our way, but the pitch of the roof on this shelter will make that far easier than the flat-topped ghetto shelter of years past. Our biggest concern was simply a wind/sun/rain break for them, and I think this will accomplish it marvelously.